Many years ago, I created a Chakra Meditation book, filled with chakra meditations and contemplation questions. There were 20 in all, with two meditations and contemplations for each colour. 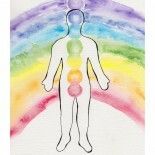 While I use the traditional 7-chakra rainbow system, I recognise extra colours for the base, heart and crown chakras. Here in this picture, for example, is one of the contemplation pages for BROWN, which I consider a second frequency associated with the base chakra, alongside the more traditional red colour used to represent this centre. Some years after that, I began experimenting with drop-dose liquid herbal medicine, where small doses are used to tap into the energetic properties of plants. 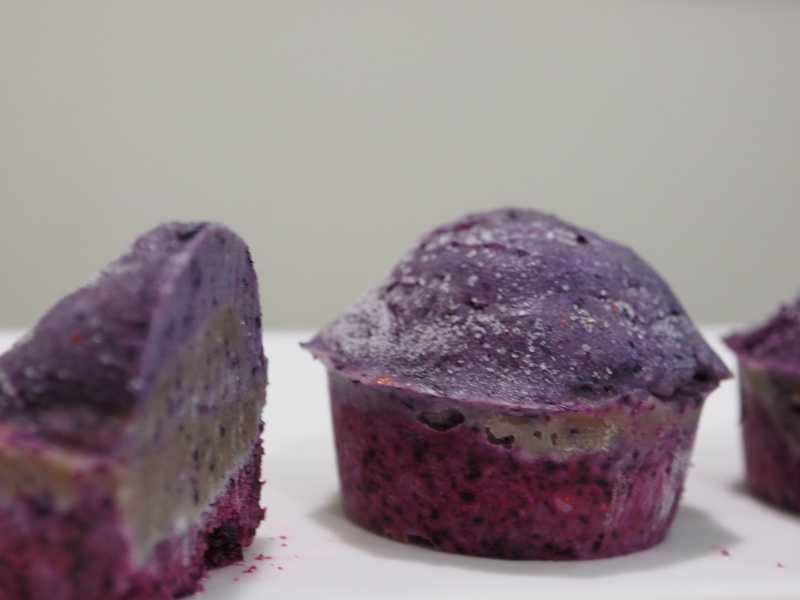 At first, I made a few mistakes and it took a bit of experimenting to get the dose right. If you go too low you can trigger symptoms that herb would normally treat. Nettles for example, might helps us release old resentments and stored anger from the solar plexus, but if the dose is too small, it might trigger a physical healing crisis with a hot red rash appearing on the solar plexus area. Once I got the dose right, I began to see and feel the frequency of each herb with greater accuracy. For many years I used the herbs during chakra/aura healing work, by rubbing them over my hands and allowing the spirit of the plants to guide me. All of this research has now culminated in the creation of 20 Chakra Tonics that align with the chakra meditations and contemplation exercises in the book I’d written years earlier. I hadn’t realised until recently that these two projects were going to merge as one! For a few months now, I’ve been playing happily with the Chakra Tonics and am delighted with how effective they are. It might take me a bit longer to pull everything together as a full package, but you’re welcome to come have a dabble on the closing down day. Shuffle the Chakra Meditation card deck to find out which Chakra Tonic is right for you, or tell me a little about physical, emotional and psychological challenges you are facing and I can help you choose the right blend, or the right combination of Herbal Chakra Tonic with Aura Spray. Herbal singles for the Base Chakra (brown): Earthy, restorative, strengthening remedies that help you ‘Stand your Ground’. I’m about to begin travelling back and forth between Northern NSW and Darwin, which is another reason I’ve wanted to condense or down-size my product range. Being a chakra/aura therapist, I couldn’t resist grouping the ‘herbs for sale’ according to chakras. Each chakra section on the sale day will include liquid herbal ‘singles’ and ‘blends’. Singles are one herb on it’s own, blends are a combination of herbs working together. In the Brown Base Chakra ‘single herb section for example, I have horsetail, which is rich in minerals, especially silica… a beautiful, earthy herb that builds strength on a musculoskeletal level. Astragalus builds deep strength into the immune system while also improving tone and resilience, being an incredible preventative for colds and flus and a brilliant remedy for prolapse of any kind. In the blended section for this chakra/colour I have some energy restorative blends, full of herbs that restore depleted adrenal function and help rebuild us when we’ve become run down or are recovering from illness. There’s also a blend of herbs for restoring and strengthening the immune system. In some chakra sections, there are herbal tablets for sale, and some dried herbs. If you need a herbalist/naturopath while I’m away, let me introduce you to the lovely Michelle Brown Some of you may remember meeting her when she was apprenticed to me years ago, while completing clinic time for her degree. Michelle is very intuitive and insightful, and shares my passion for holism, both in her whole-person approach to naturopathy and her grasp on the importance of whole-plant synergy and food as medicine. Over the past few weeks I’ve been testing out my new Wish-Pillows, which are soooo much fun! My inner child really loves them. I keep mine beside the bed and some night I snuggle up with it. I love breathing deep the scent of Schisandra, Shatavari and Rose Petals, while I make my wishes. Schisandra has a ‘Synchronicity Pink’ frequency to it… for anyone who doesn’t have an Aura Card set, this means it’s a magical herb that helps us to have more faith in (and attunement with) divine timing. And in all the ancient textbooks, Shatavari (wild asparagus), comes with a warning: “Do not use if you don’t want flying dreams’. I mean, really, who wouldn’t want to have flying dreams? Perhaps if you were scared of heights…. …but really, whether or not you have flying dreams isn’t really the point here. The flying dreams are a metaphor for freedom; for rising above what you might otherwise by mired within. Like an eagle looking down from a great height, Shatavari gives us the capacity to let go, step back and see the bigger picture. It’s this letting go, this detachment, that is such an important and often overlooked aspect of reality creating. Intending without releasing is like deciding what you want at a restaurant but forgetting to tell the waiter! Another oft overlooked aspect of reality-creating, or making good wishes, is the ability to come from the heart. Rose-Petals centre us within the heart chakra and help us tap into the high-frequency positive emotions that help empower intent, like gratitude, forgiveness and unconditional love. I’m madly packing for the big move at the moment, but hopefully once that’s done I’ll have time to write up the Spell-Scrolls that go with the Wish-Pillows. And me being me, I’ll naturally make sure there is a practical side to all of this, with a quality guided meditation that helps you focus not only on the more esoteric side of making wishes, but the grounded actions you can take to make your dreams a reality. This small kit of five remedies can be used for emotional emergencies. Gelsenium, for example, is brilliant for performance anxiety, where we freeze up while on stage, speaking publically, or being interviewed for a new job. It’s particularly good for anticipatory anxiety, where we are trembling and having trouble with our breathing because we’re getting ourselves worked up about something we are dreading. Nat Mur helps us with grieving, where the grieving state has become stuck and unable to resolve itself. Nux Vom is the premier bear-with-sore-head remedy, perfect for terrible hangovers and the grumpiness that comes from burned-out, stressed workaholism. Silicea is for weak boundaries and empathic/emotional over-sensitivity, while Chamomilla is the famous teething remedy, great to use when we are acting like an impossible-to-please child who’s having a tantrum or whinging because we can’t get our own way or we’re in pain. I’ll soon be adding a wee scroll to the kits describing how and when to use each remedy. The big aura book and most recent Aura Card deck are temporarily unavailable, pending a wee make-over sometime next year. In the meantime, I have a few guidebooks left and have rummaged up some old decks, for various prices depending on whether or not I’ve had to replace missing cards with hand-drawn ones. There are a few Transformation books left, and plenty of the Flower Spirit card and book set. For more insight into the later, check out my flower spirit site. The flower site features the book and blogs about my wildflower spirit journeys, and the two people who fostered my deep love for wildflowers and wildflower photography, my grandmother Anne and grand uncle Peter, who have both passed away now. I also have some books to give away on the day of the closing down sale, a mix of old and new, that need good homes. Topics range from the natural environment through to Aboriginal art, with the odd fiction book and magazine thrown in. There’s a laminator, a deck of cards, and so on. Limitations. They can be fantastic when they are real and accepting them puts you in a better place. Accepting the reality of an injury and the time needed to heal, has been a nourishing limitation for me. And I’m generally better off when I accept my body’s regenerative need for sleep, in the spite of the fact that I’m feeling inspired and would like to stay up all night being creative. But then there are those pesky pretend limitations that go around masquerading as real limitations, creating walls inside our mind that we project out into the world in the form of obstacles that simply don’t need to be there. I wonder how many hurdles spook us because they seem higher than they really are? Some perceived hurdles are just smoke and mirrors, all bluff and hot air, invented by fears and beliefs inside us that we are barely aware of. I was asked to make a magic cake last night, by my spirit guides, whom I refer to collectively as ‘Spirit’. They love dancing around in the kitchen with me and tossing magic about; a pinch of this, a cup of that and a powerful sprinkle of higher healing intentions for good measure. For me, the kitchen is one of my creative playgrounds*, and I love inviting my magical inner child to play in this sacred space with me. “What is this cake for?”, I asked them. To clear limitations, they replied. “Tell me more”, I asked them, like a child nestling in front of a warm fire, waiting for a particularly good story to spill forth from a loved ones lips. Except in this case, my nestling was actually more like rummaging, as I happily explored the deepest, darkest corners of my kitchen pantry in search of inspiring ingredients. It’s incredibly liberating, after a back injury, to be able to do this without help. As far as ingredients went, Spirit had only given me two firm instructions: Lavender and Sesame Seeds. The rest of it I could make up as I went along. Sesame seeds just reek of wonder and magic don’t they? I mean, seeds on their own do, because they are these intense, tiny little packages of potential, packed tight with super-charged nutrients for the sudden beginning of new growth, new beginnings. Like a suitcase packed full of goodies, hidden under the bed, just waiting for the right moment for a new adventure to be unleashed. But it’s not just the seed part that makes sesame seeds glow in the eyes of my magical inner child: it’s the ‘Open Sesame’ story-connotations from the tale of Aladdin’s magic lamp. My inner child sees sesame seeds as keys to unlock surprises, gifts, treasure…. all of which is hidden within me. A way to unlock the wall of my own perceived limitations so I can reach past them and unleash the sleeping light in my shadows. 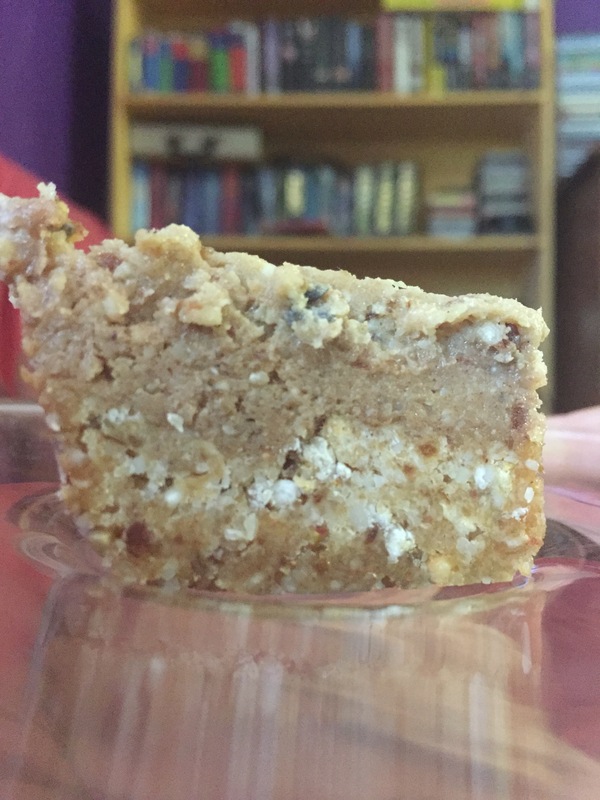 This cake will help you see through mountains, because these mountains are actually molehills in disguise. The lavender will clear your third eye so you can see clearly again. Your mind has become lost in a maze of tangled thoughts, creating complexity that blinds you to the underlying simplicity. We seek to liberate this creative simplicity from within you so that you may be free to express your deepest truths in beautiful, pure, joyful ways. Blessed Be. Ohhhh, that sounds like fun! Sure enough, I had a startlingly lucid, simple idea last night after making this cake and I hadn’t even eaten it yet! I hesitate to say “brilliant” idea because you might laugh at me and call me arrogant, but if I let that fear hold me back, I won’t have as much fun in life, so I think I’ll let the fear go. Besides, the idea was brilliant: that doesn’t mean I am! haha! Put all of these ingredients in your food processor and crush/blend until the mix looks like cooked cake crumble or fresh bread crumbs. To check whether you need more dates, pinch some of the mix between your fingers to see if it squeezes together and holds together if you roll it into a ball in your hand. A taste test at this stage helps too! Is it sweet enough for you? If your base chakra is balanced, you will balance excessive sweetness and sweet-indulgence with healthy limits, self-discipline and an ability to nourish yourself from within. “Because they are THE dates. The manna from heaven!”, I replied. They aren’t just sweet, they make everything stick together. It’s got to be sticky enough to firm a fairly firm base in the bottom of your dessert dish, without being too sweet. 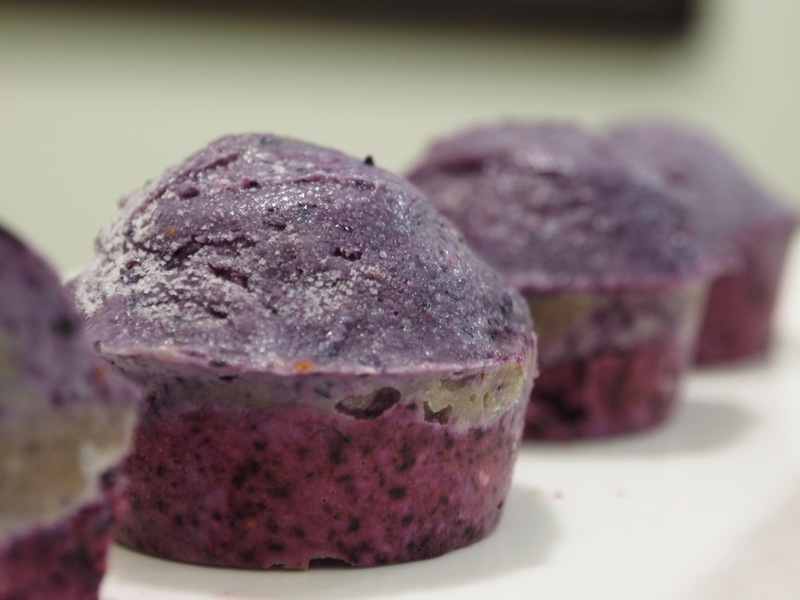 Add coconut oil or prunes for extra moisture if your food processor isn’t powerful enough to pull this off. Not water- that makes the cakes icy instead of creamy. These are freezer cakes, so keep in mind that they won’t shrink and pop neatly out of a cake tin when you turn it upside down, so be clever about the dish you choose to put your mix into. Remove 1/4 of the mix and put it aside (in the freezer) to use as the base for the ‘icing’ (the top layer). It’s important to have some icing on your cake sometimes because it makes you feel special and pampered. Now add 1 tablespoon of cocoa or cacao powder to the remaining mix and blend again. (Use even more if you really love chocolate and your food processor is tough!) Yum! Spread this mix over the base layer and put your dish into the freezer. *I sometimes wonder if my love for sacred play and the way I weave my interests in psychology, neuroscience and neurotheology throughout this play, is a family trait. How lovely to discover one of my father’s sisters has been cut from the same divine cloth! My auntie Kay has a beautiful healing approach based on a blend of healing, psychology, philosophy, mindfulness, performance improvisation and the playful wonder of possibilities…. I made this cake to align my heart chakra, third eye and base chakras. I am calling forth deep passion stirring in my heart, awaiting rebirth, like a flower bulb hidden under layers of snow in the winter, waiting for spring to come. I feel this passion grow legs, beautiful anchoring lines that guide my path forwards. I see with the eyes of my heart, a single thread of passion cast forth like a beam of light from my third eye into the unknown, seeking what will nourish the growth in my heart. I feel a deep strength rising up from my base, like a foal who suddenly finds her legs and unfolds upwards to stand tall, gazing at me unflinchingly. I call forth horse energy to guide and nourish me. I see myself walking down an ancient pathway into a place of gathering. There are many others. We sing as we walk. Bowls are balanced on our heads, filled with water and flowers for blessing. We wash each other’s faces clean from the dust of travel. We cleanse our third eyes and the backs of our necks and we offer this old energy to the stars, that it might be made new again. Now we stand in a circle and pray to the heavens. A child is born amongst us, at the centre of the circle in a flash of star-light. She is horse energy and she is me. We run alongside each other, we pace, we step, we nudge, we glide….. I feel a deep patience and knowing welling inside me. I feel stillness that runs deep; stillness full of potency and grace. 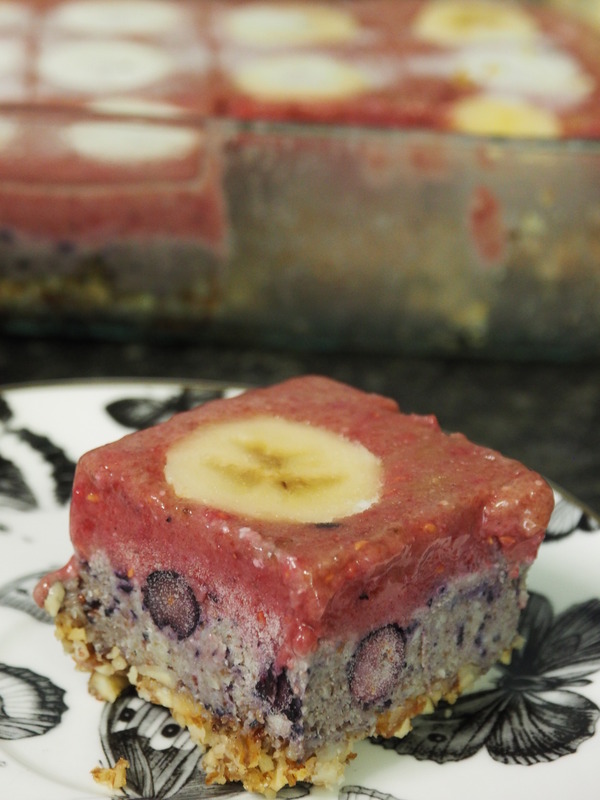 If you would like the recipe for this cake, visit my vegan site.